Geometric algebra, what is it? In the School, study Algebra and Geometry separately. In Algebra, the numbers are replaced with letters in the very first step and an attempt is made to manipulate only the symbols. Typically, combinations of symbols and operations are made. In the course of Stereometry solve problems associated with three-dimensional figures. Rarely, when the proofs or solutions of a problem are based on manipulating pieces of figure volumes. In real life, for example, a carpenter, locksmith or any other craftsman operates only with three-dimensional things. Is it possible to combine a symbolic record and manipulation with three-dimensional objects and objects of greater dimension? William Kingdon Clifford created an Algebra that can manipulate multidimensional objects. 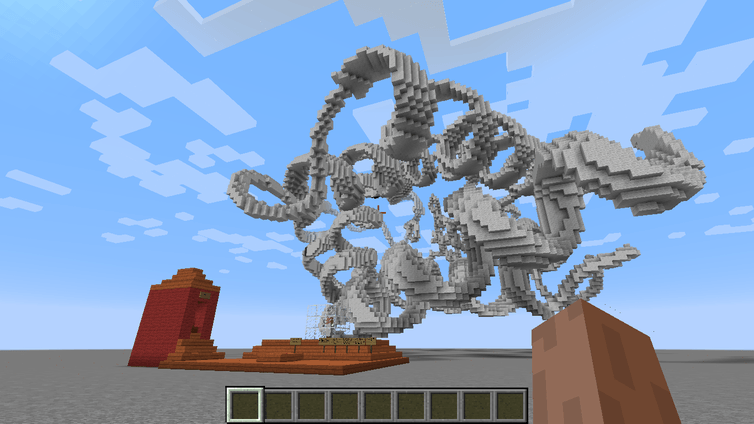 In order to better represent this algebra, let’s do spawn of Ender Crystal in Minecraft. 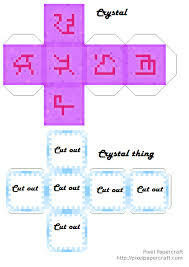 This is a very fascinating adventure search for the fortress with a portal to the parallel world, killing the dragon and returning with ender_crystal. But we will shorten this long adventure in order to engage in Mathematics. Potassium nitrate (KNO3). The potassium salt of nitric acid in the crystalline state is a colorless substance, non-volatile, odorless. Slightly hygroscopic. It is soluble in water. The crystals are acicular and very long. What type of bond (pi, sigma) is in the additional double bond with the different position in nitrate (NO3)? 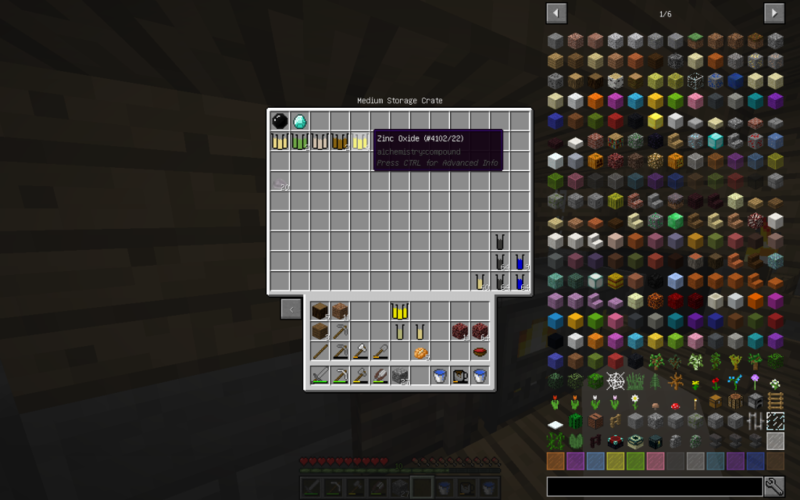 In Minecraft, you can obtain potassium nitrate from GUNPOWDER through the Chemical Dissolver. Used in agriculture as a fertilizer. 2KNO3 + S + 3C = K2S + N2 + 3CO2. Potassium nitrate is used to produce fuel for pyrotechnics. For lightening and giving strength to glass. Add to meat to extend the shelf life. 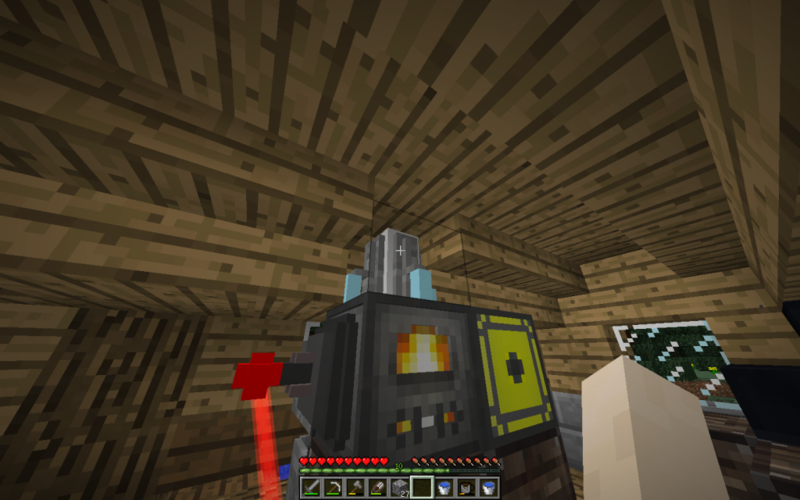 Now we synthesize GUNPOWDER from elements from other Minecraft stuff. 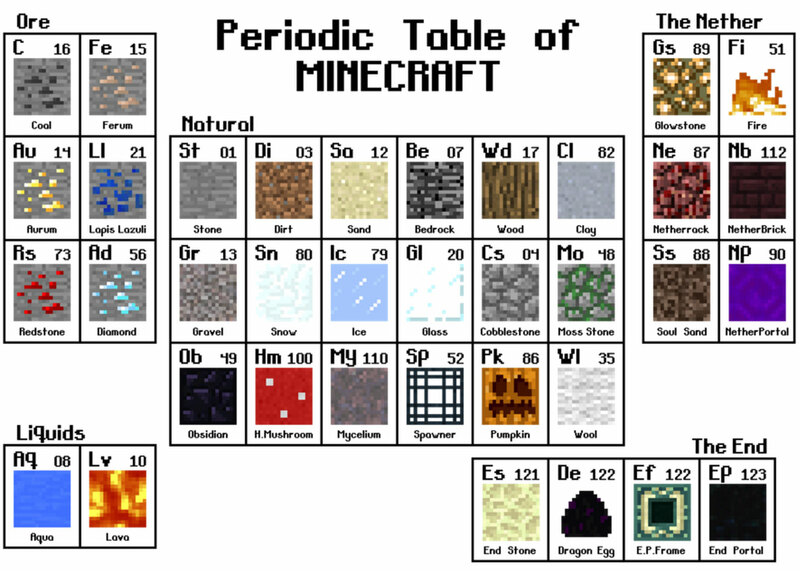 For this we need 2 moles of potassium nitrate, 8 moles of sulfur and 8 moles of carbon. Scientists are exploring whether teaching real-world science through a popular computer game may offer a more engaging and effective educational approach than traditional concepts of instruction. 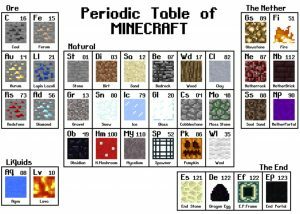 A group of 39 college students from diverse majors played an enhanced version of the popular video game “Minecraft” and learned chemistry in the process, despite being given no in-class science instruction. A University of Texas at Dallas team is exploring whether teaching real-world …. Let’s begin our study of the nature of chemical reactions using the traditional device for each alchemist. This is the Evaporator. 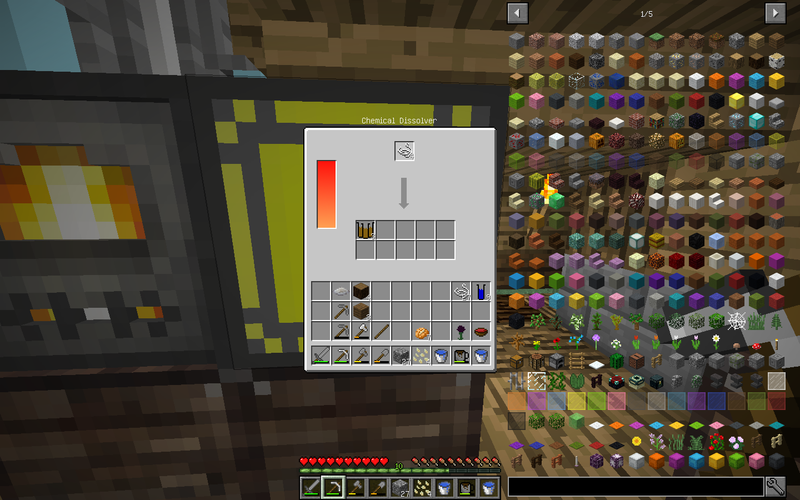 In the picture below under Electrolyzer. Saucer with salt water from a practical task is a small model that works like a real Evaporator. Sometimes, to accelerate the evaporation of water to the Evaporator, energy is supplied through the heat carrier. 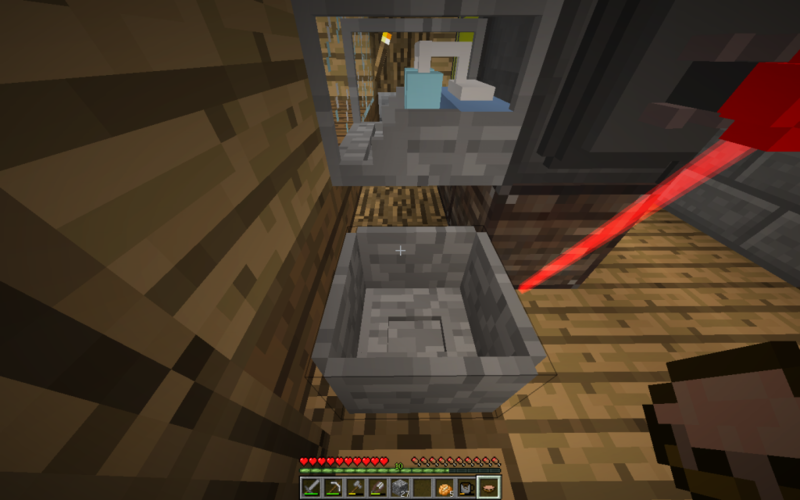 For example, put a bath in a jar with hot water and put a fire under the vessel or install any other thermo-elements. Zinc oxide (zinc oxide) ZnO is a colorless crystalline powder, insoluble in water, yellowing upon heating and subliming at 1800 ° C.
When heated, the substance changes color: white at room temperature, zinc oxide turns yellow. 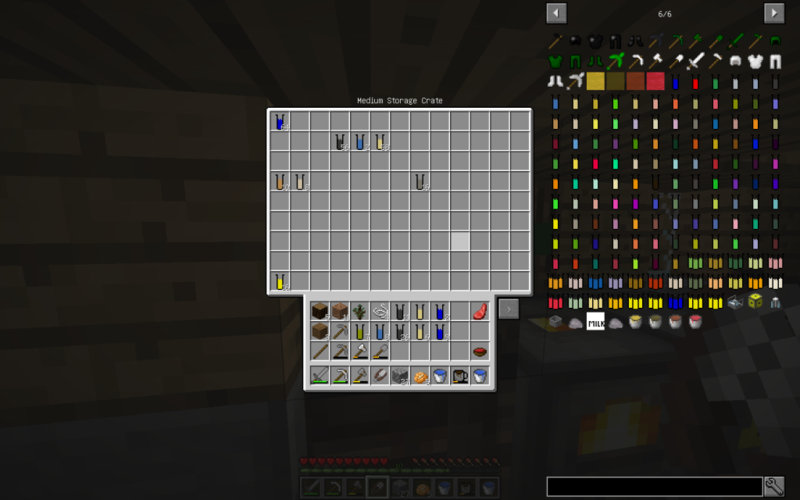 In Minecraft Zinc Oxide can be obtained from Netherrack or by reacting pure zinc from mieralSalt (Which is obtained with Evaporator from ordinary water and subsequent decomposition into Chemical Dissolver) with oxygen in the Chemical Combiner. 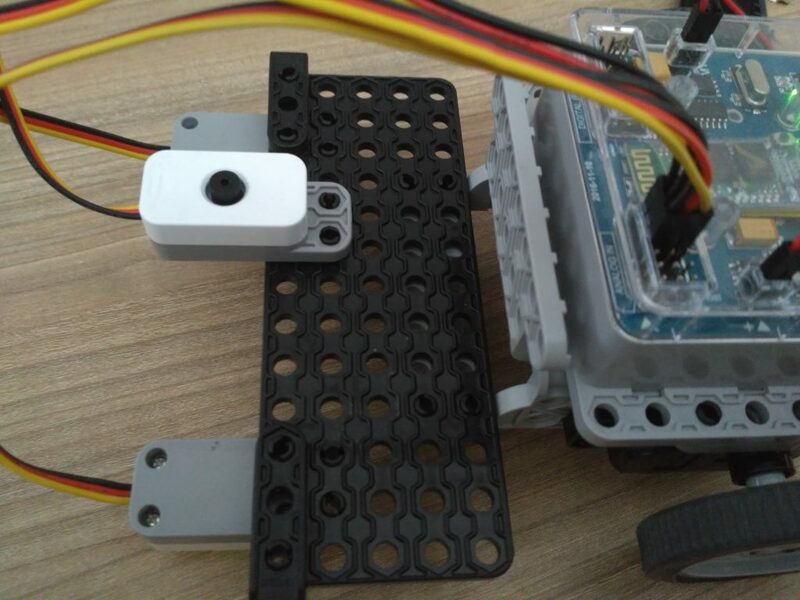 Minecraft Runorobot with Scratch2 and MQTT. In details about our different types of robots. 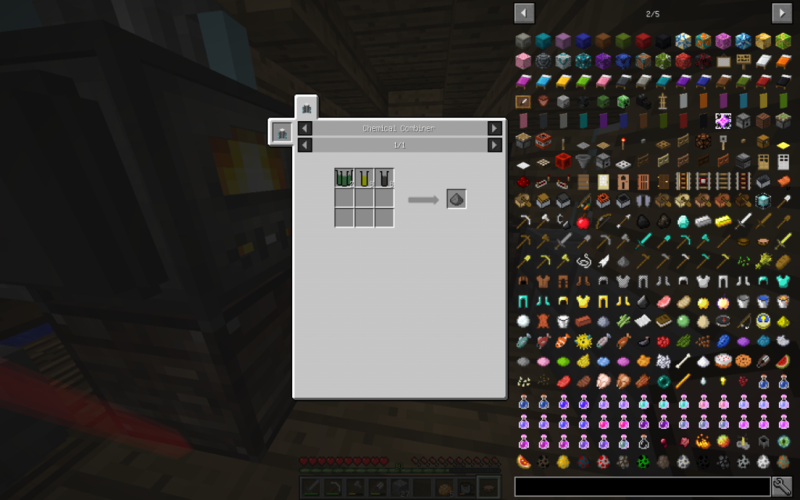 Our Mod is based in the chemical part on the ALCHEMISTRY V 0.6.1. Below is a complete list of training materials for the 1st stage of Chemistry. Powder of Silicon with strong heating burns into Silicon Dioxide (pages 446-448, 877-878, 928 of a chemical textbook). The formula describes the chemical reaction, on the left side of the substance before the reaction. On the right side of the substance after the reaction. Such reactions can be carried out using our Chemical Combiner. Q is the heat energy released during combustion, the wave of which causes the molecules surrounding the combustion source to move faster. Man perceives burning as light and heat. Silicon is the most common element of the earth’s surface after Oxygen. It occupies up to 30% of the entire lithosphere. The serial number in the periodic system of chemical elements 14. Silicon is located under Carbon in the same group and subgroup. 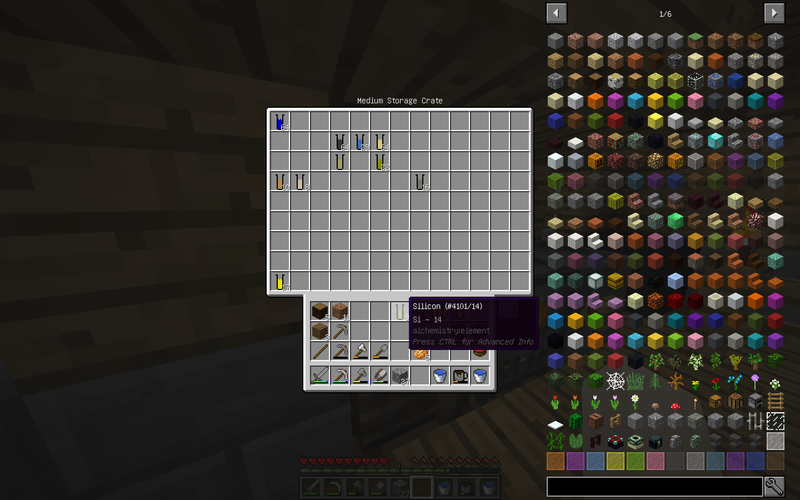 In Maincraft Silicon contained in Netherrack, DYE (lapis), ender_pearl. For some mods, you can use itemSilicon. In which row and group is Silicon located? In nature, silicon occurs in the form of silica-based compounds silicon_dioxide SiO2. The main minerals and rocks formed by silicon dioxide are sand (river and quartz), quartz and quartzites, flint, feldspars. In Maincraft silicon_dioxide can be obtained from sand, quartz, end_stone, blockGlass, cobblestone, stoneGranite, stoneDiorite, Magma, stoneAndesite, stone. Protein can be obtained from threads of spider and flax, from wool, condensed Milk (which is obtained in Evaporator) and egg. To get more elements and their variety, it is better to lay more items. From each block of wool, two proteins are obtained, regardless of the color of the coat. Further decomposition is best done by laying 4 protein substances in Chemical Dissolver, because it is more likely to get sulfur out and more other simple chemical elements. In the top line, what happens if you lay only one Protein in the Chemical Dissolver. The lower yield of 4 Proteins. As you can see, we also got Sulfur (16th serial number in the periodic table of Mendeleyev and 3rd row).